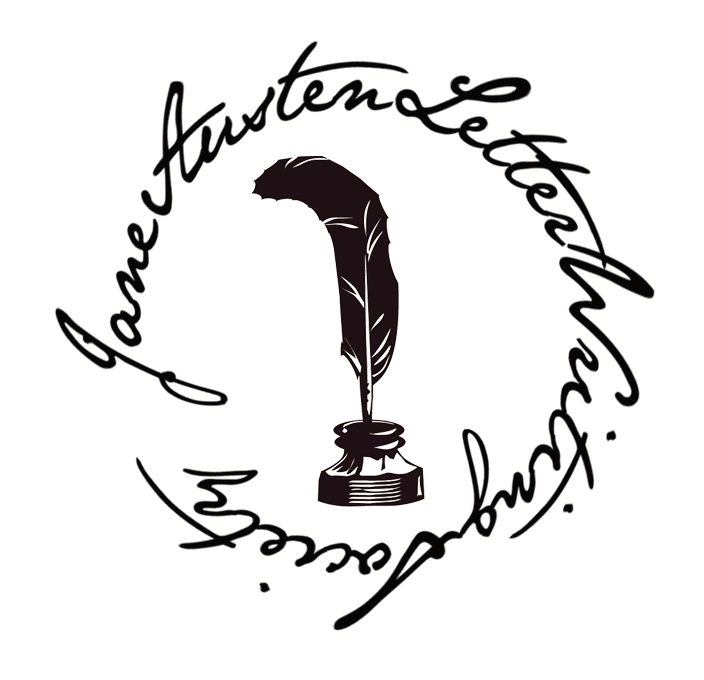 The Jane Austen Letter Writing Society: Lady Pamela Interviews Miss Bates! I am delighted to have you join me as I have recently had the pleasure of interviewing Miss Bates of Highbury . I have always admired Miss Bates, and felt sure the rest of you would enjoy our conversation. I was able to arrange the interview, rather extemporaneously, while recently in Highbury on a shopping expedition. I happened to pass her on the street, and upon introductions (as I am a distant relation of the Coles in Highbury) she begged me to join her and her esteemed mother for a spot of tea in their cosy parlor. Miss Bates: Oh my. How is Lord Foster's health? We have been making anxious inquiries about him since we have heard of his troubles. Perhaps he should take a bit of Water -Gruel? Is that not what your friend Mr. Woodhouse takes? But his must be nice a smooth gruel, thin, but not too thin. And thank you so for your visit, you are too kind to visit. Mr. Elton was here the other day and brought us these shoes. He is always showing such kindness and felicity to the poor of the town. Now please sit down and have some of the sweet cake from the buffet. Lady Pamela: Thank you so much for so cordially and gratefully welcoming me to join you and Mrs. Bates in for some tea. Yes, Lord Foster is doing much better, he is an excellent patient, lies quietly in bed and is ready to swallow anything. He lives upon medicine, tea and barley water. I will tell him of the water gruel you speak so highly of. Miss Bates: Oh , yes! He must certainly have the water gruel. It is sure to raise his spirits. The apothecary may also recommend a stout Dandelion tea, I approve of it highly. I believe the Campbells are quite taken with dandelion tea, by my honour! With some slight alterations , he will have a strong constitution, as strong as my mother's. "Ma'am", Do you hear what I am recommending to Lady Pamela? The DANDELION TEA?" Lady Pamela: I will be sure to recommend the water gruel and the dandelion tea as you suggest to Lord Foster. Um, I thought I heard from Mrs. Cole that you had received a letter recently from your pen friend of the Jane Austen Letter Writing Society? Miss Bates: Oh here it is! I was sure it could not be far off, but I had put my huswif on it, you see , without being aware, and so it was quite hid, but I had it in my hand so very lately that I was almost sure it must be on the table. 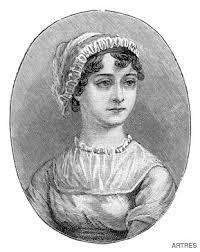 I was reading it to Mrs. Cole, and since she went away, I was reading it again to my mother, for it is such a pleasure to her--a letter from the Jane Austen Letter Writing Society--that she can never hear it often enough! 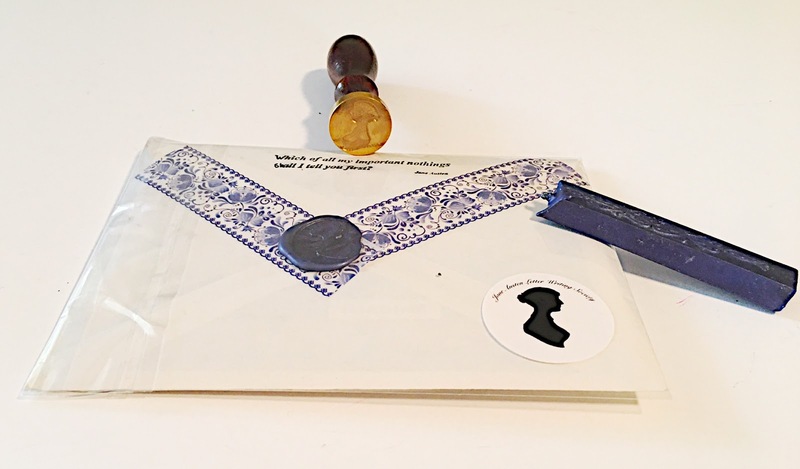 Oh yes, I received a lovely letter, from Mrs. P___ of the Society, what a great pleasure, and such a handsome letter, I do declare. And it was not her turn for writing. But you see, just like her, so considerate! Such a handsome letter, yes it is--is it not, mother? "THE LETTER , MOTHER, THE LETTER FROM THE SOCIETY?" Bless me, Upon my honour! Lady Pamela: Oh , indeed it is quite handsome!! It is charming and I know it filled you all with felicitous joy. And so cleverly made. I must see what I can do to make mine as clever as this letter from your Mrs. P___! I make it my way to have something entertaining...be it prose or verse, original or repeated, or two things moderately clever--or three things very dull indeed! But, I am afraid I must be running away, I had no intention, no power of staying more than five minutes. And as I walked down the road, I reflected upon the good Miss Bates. 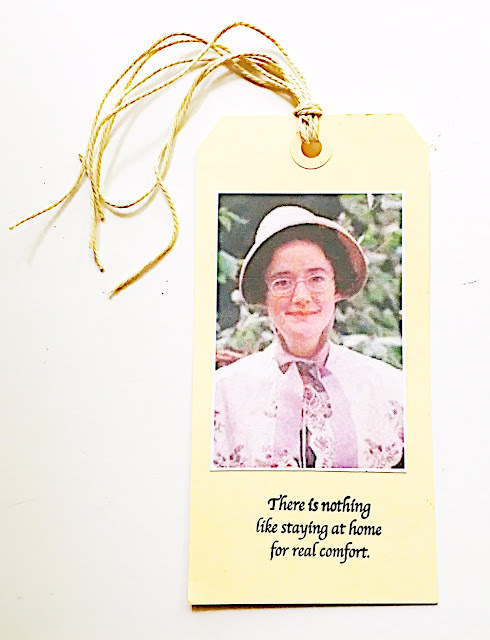 The idea of an interview with one of my favorite characters of Jane Austen, [EMMA] our dear Miss Bates, sprang from my introduction email with my pen friend from the Jane Austen Letter Writing Society! Lady Simone had requested that we try our hand at writing "in character" . Unfortunately, I have been a rather poor correspondent this exchange, so we never got to really discuss this aspect, but it DID get me thinking. At first I thought of sending a letter , in character, and perhaps extending their story...but I really didn't have the time to do so. 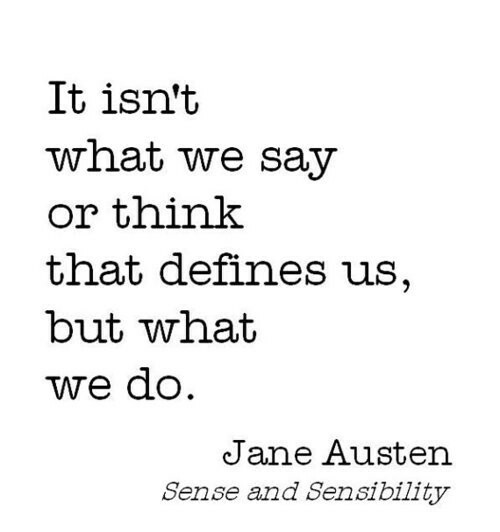 Then I thought of the interview angle, and thought that I could lift a scene or two involving dear Miss Bates, randomly insert some of MY life....skip around and throw in a few quotes from Jane's letters and here you have it. I went ahead and sent a copy of the interview (my letter), a card, tag and a single serving of Dandy Blend to sip while reading it all. I hope she enjoys it. By the way, Lady Simone had one of the cutest applications for the Society! She has a great sense of humor, and hope she will sign up for the next exchange, to bless another member! Oh, and yes, there is a back side to the envelope...properly sealed, Jane approved! Oh just loved this! One of the most fun posts to read! Thank you Lady Donaldson! I am wanting to do more interviews...do you have a suggestion? Thank you Lady Brittany! I hope to do a few more interviews...in the near future. Thank you! Let me know if you have a suggestion for future interviews! There might have so many purposes in order to complete a writing but some purposes are let you have to be a perfect writer. http://www.proposalwritingservice.com/ that is very helpful for the academic papers writing. I read this article its so much good think being a woman and as a good wife and mother too. In this I get she really like to stay at homepage and like to take care her husband and children also her husband parents. She like to be cooking for her family. So much amazing book in this book author write about her life with her friend and neighbor woman. She talks with her and take an interview about this link http://www.plagerismchecker.org/check-your-essay-with-plagiarism-detector-free-online/ and her friend life and they both enjoy talk with each other. There are hundreds of methods to do even a single conversion with the same meaning so http://www.paraphrasegenerator.biz/why-us/ can be help in this case to understand all the methods so we can use all in our routine life. Excellent post, They are offered clear employments and essential insistence in any edifying relationship on genuineness begin so they click to read work in nation's progress. We have the of each field identified with direction.